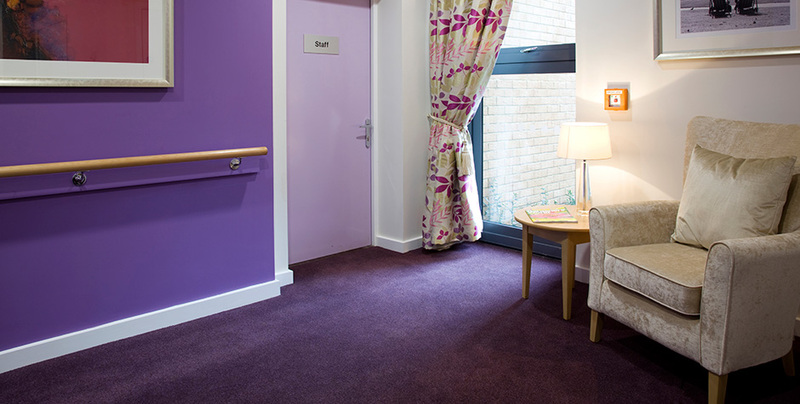 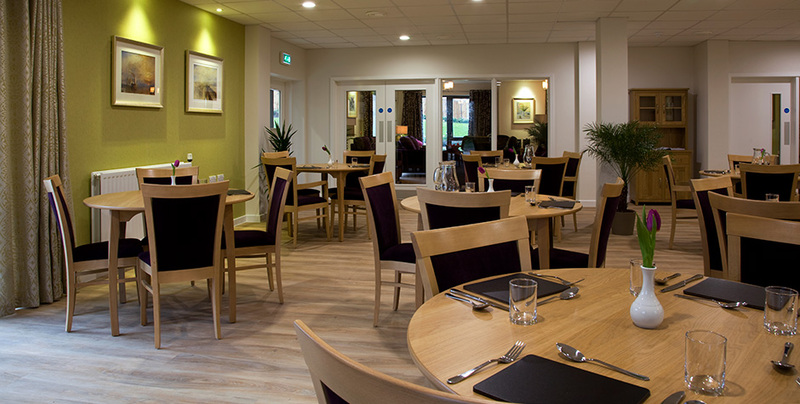 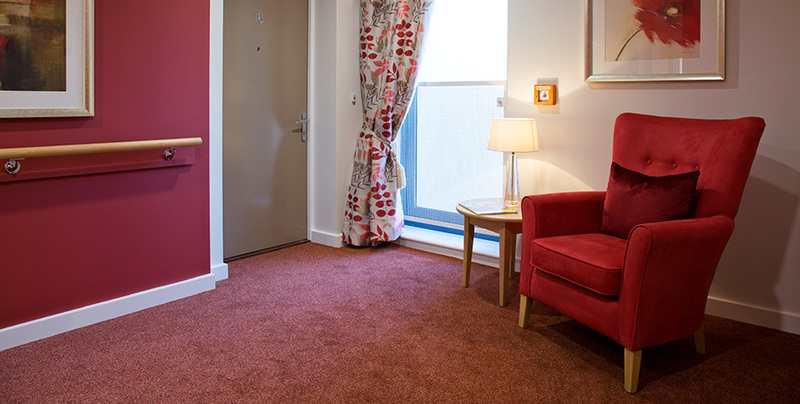 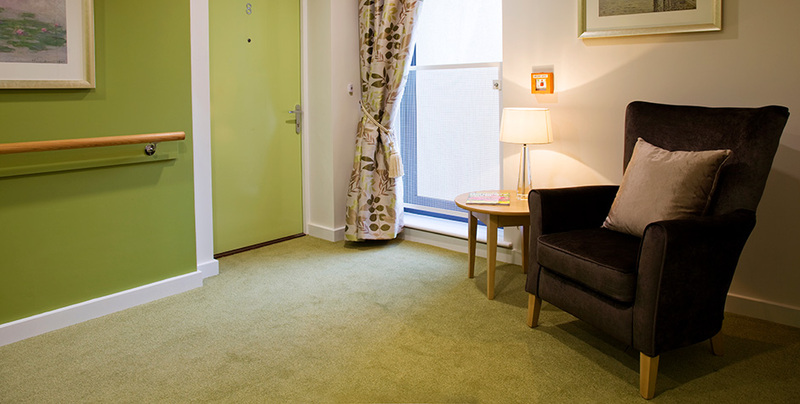 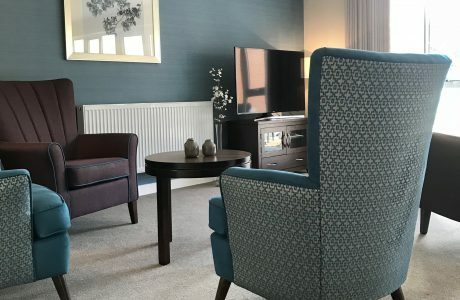 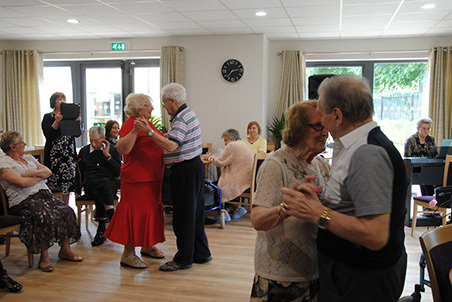 Our Kent Extra Care Interior: Built and operated by West Kent Housing Association, we were asked to design, supply and install all communal areas and design a blanket scheme for the bedrooms and en-suite bathrooms. 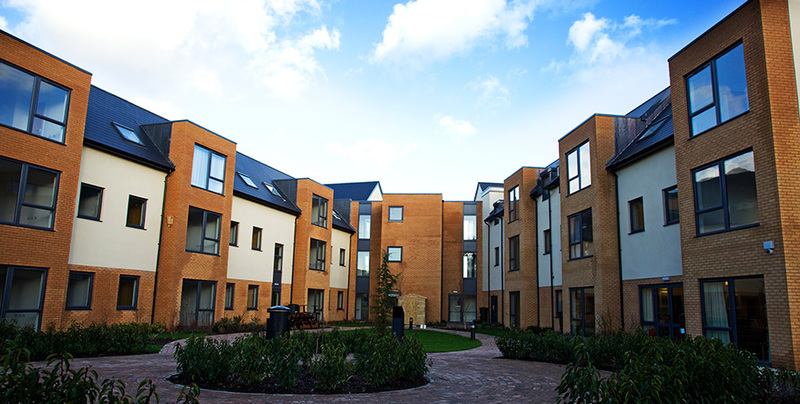 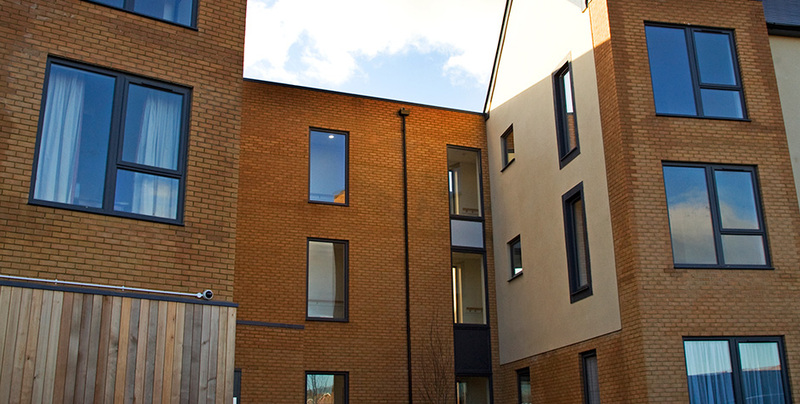 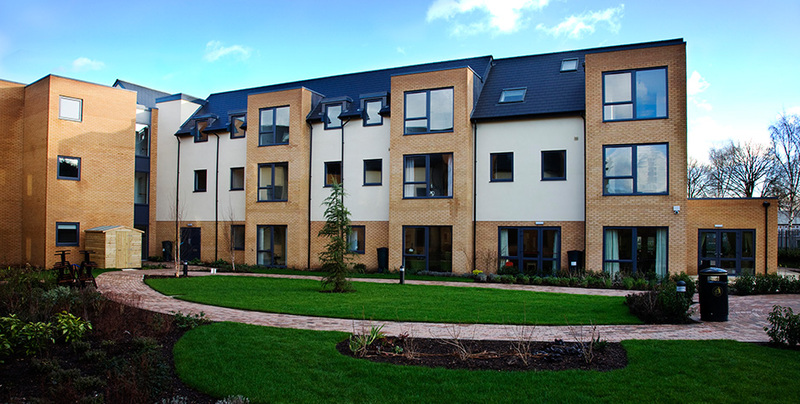 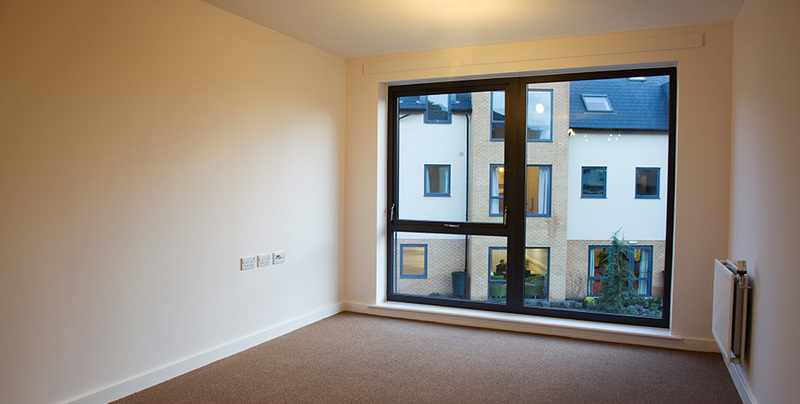 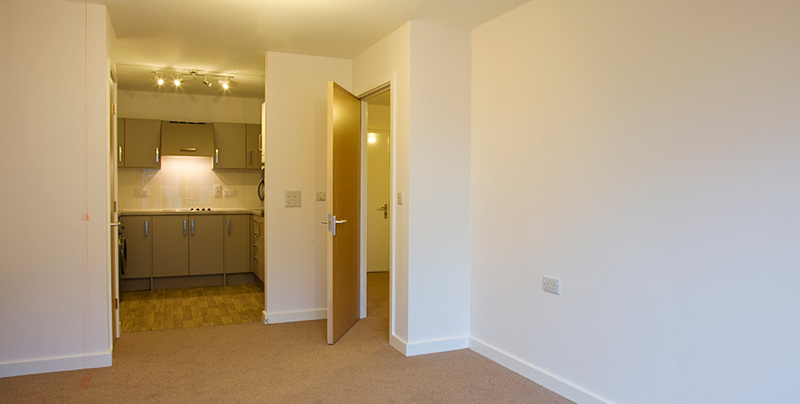 Each floor and wing has it’s own identity allowing residents to easily identify where they were. 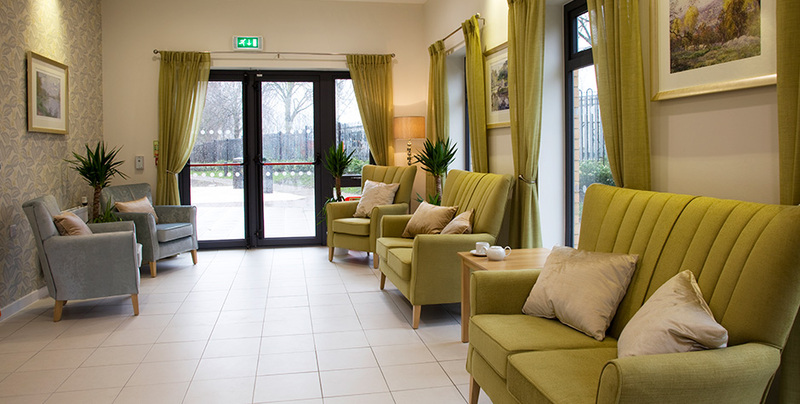 The reception area features a wall mural of an old map of the local area which has proved to be a great talking point with residents and visitors. 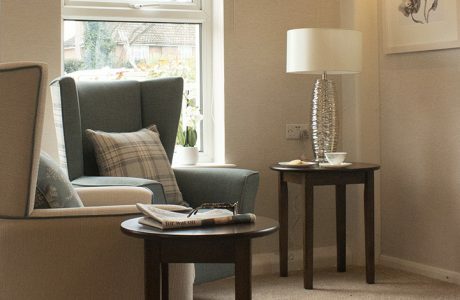 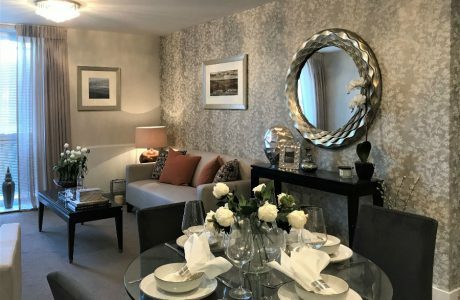 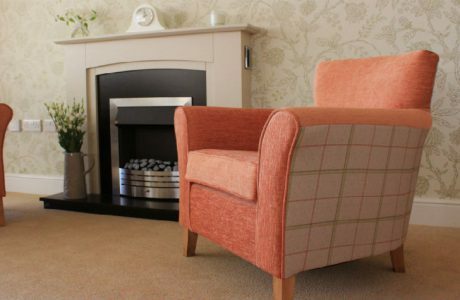 The client was delighted with the colourful results as were the residents, who have sent us letters to tell us how much they enjoy living there. 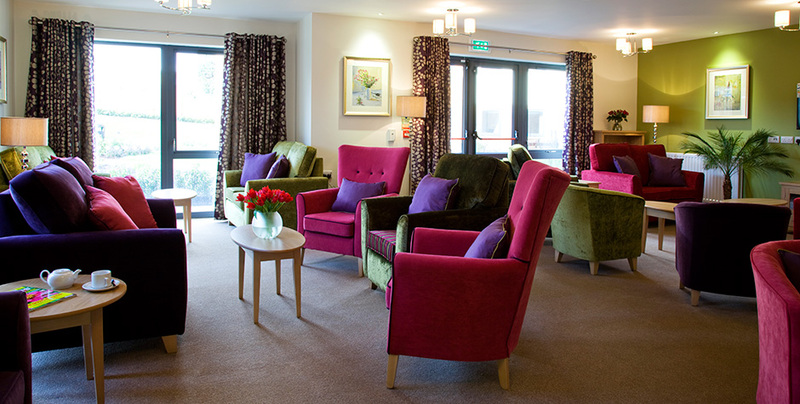 The peaceful Garden Room is a particular favourite. 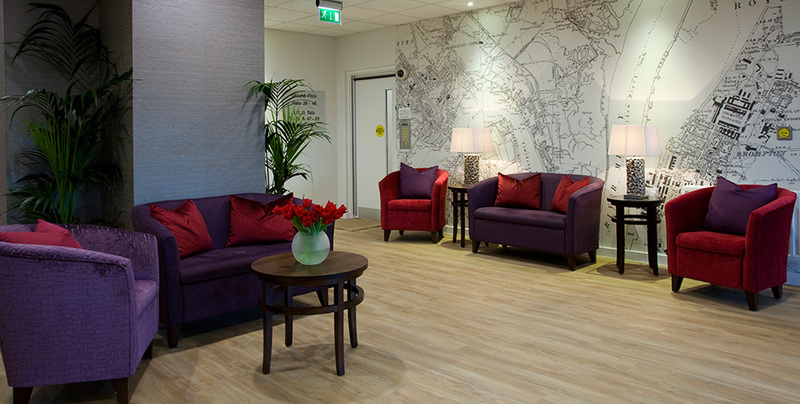 Mural in reception area printed by Dynasty Wallcoverings.